I finally got around to getting some candies for my fun September Paper Pumpkin goodie bags. I am back on my Fast Metabolism Diet so no candy for me. But I am down 5 pounds! Yay!!! The guys will enjoy the whole bag of candy corn flavored M&M's that must have been tossed around the store. They were all chipped and horrible, no way was I putting them in the bag...and I was not picking the good ones out either. Don't forget to get your Paper Pumpkin subscriptions, they make great gifts too. 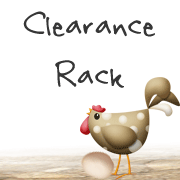 Clearance Rack Updated - While supplies last! I am so glad that Last Man Standing is back on TV, I totally loved the first episode how they made fun of moving to a new network, having a new actress play one of the daughters, it was so neat to see everyone. Do you watch it? We also watched Cool Kids that came on after, with Vicki Lawrence from the Carol Burnett show, plus some other fun characters from old favorites like Martin Mull, David Alan Grier (who I hardly recognized with gray hair) and the hilarious Leslie Jordan. It was pretty funny too. Will be interesting to see if they have cameos from famous people on it. They did have Jamie Farr on there from MASH. I have my last round of Fall Social in the morning, can't wait to see everyone. Have an awesome Saturday, thanks for stopping in.